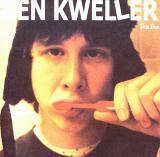 Ben Kweller was once described by Rolling Stone and Spin magazine as the next Kurt Cobain. At age fifteen his band, Radish, a Nirvana-esque rock band that played with the intensity and fury of punk while retaining the pop smarts of bands like The Who and The Beatles, signed a major label deal. From there the label tried to mold and promote Kweller as an image, the press eating it up, all the while Kweller, naive and confused, kept writing and playing songs, and, most importantly, kept being a kid. "When I was 15 and got signed I didn't have anything else to do but write songs and play my guitar," recalls Kweller. "I didn't realize there was so much other things I should know about. I would dye my hair every week and it pissed the label off. They couldn't get me to stick to one image so they couldn't market me. I wanted to be in fan zines and not NY Times, but I didn't know how to voice it. I was a kid." Opting to move to New York, where their label was based, Radish soon found themselves at odds with each other, a result of too much pressure, too much attention, and being too young to deal with it all. "When we moved to New York we were technically signed, but we were ready to break up. I went into Island and played them the songs I was working on for my solo record. I would play them a pop song and then I played them a country song, and they liked it, but they didn't know what to do with me because I wasn't Britney Spears. "The great thing about Radish, though, was I was only fifteen years old and got a lot of experience and now I'm 20 and learned a lot and have a lot of experience under my belt." Eventually getting out of the contract after disbanding Radish, Kweller sat in his apartment not quite sure what to do. As he explains it, he had a computer with a few recording programs on it, an acoustic guitar, and a whole bunch of songs. The answer was obvious, record a record and put it out himself. "We got together and decided to put two guitars in the trunk of my car and do a tour together." "I owe a lot to Evan Dando. He took me under his wings," continues Kweller. Freak Out is now out of print. A few tracks making its way on to Kweller's major label debut, Sha Sha, though Kweller hopes to re-release Freak Out in the future, after looking over his contracts with ATO (his label) to see if he can legally do so. "Michael McDonnell, the label president at ATO, saw me play and said he wanted to sign me," Kweller tells me about how he landed on ATO. Once signed, he began work on his sophomore full-length, Sha Sha, even calling upon old Radish drummer, a call that saved their friendship. "John from Radish plays drums on Sha Sha. I called him up after I got signed to ATO - there were hard feelings and we weren't talking," Kweller informs me. "He was the only drummer I had ever played with since I was twelve. So I called him up and said 'I love you' and we made up. It was great." 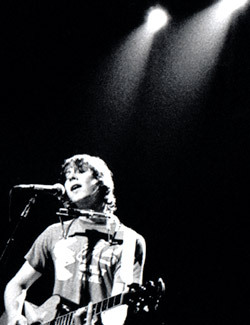 Following the release of Sha Sha, Kweller quickly saw the potential of Radish realized as commercial radio embraced his first single, "Wasted & Ready". Garnering opening slots for other musicians, he toured the U.S. a few times before recently embarking on his own sold out U.S. tour. "I just did my first headlining tour and sold out almost all the places we played and we're talking 200-400 rooms," Kweller proudly proclaims. After experiencing the thrill of his own headlining tour, Kweller is hitting the road once again as a supporting act, supporting The Strokes. "I'm touring with the Strokes starting November 9th in Vegas. We then work our way back to New York. Adam Green from the Moldy Peaches is opening up." 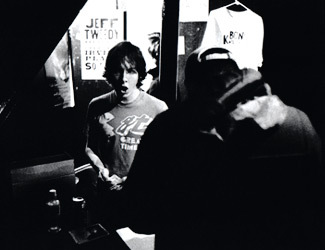 Still quite humble about it all, Kweller quickly shoots down the idea of taking out Evan Dando or Ben Lee, two of his biggest supporters, as supporting acts any time soon. "I could never ask Evan Dando or Ben Lee to open up for me," he replies. "Even though I'm getting popular, I just couldn't ask them to open for me because they've helped me so much. Not unless I was really big." Young enough to feel like he's still just that kid playing music and having fun, but old enough to know what to do and what not to do, Kweller is poised for the commercial success Radish always seemed to be ready to capture.